Are newspapers dead? The relevance of printed newspapers has been slowly declining since as early as the 1950s with the arrival of television. Today, with the overwhelming popularity of digital media, the demise of printed news may seem inevitable. But despite the death knells, newspapers remain an important part of the media landscape. In our 2018 Entertainment Survey, Field Day analyzed the role of print newspapers when it comes to choosing a destination or an event. We asked respondents to identify which media they used as a source of information before going to an event or a destination. The chart below compares the responses from February 2016 to those from our most recent survey in February 2018. The changes in the past two years are significant. Across every age category, newspaper advertising and articles have a much lower impact on people’s entertainment decisions. And it’s safe to predict that these numbers will continue to decline in the coming years. Is newspaper advertising still relevant for events and destinations? Tourism organizations, cultural institutions, performing arts and events all seek to attract as wide and diverse a demographic as possible. It therefore makes sense to maintain a wide and diverse media strategy. 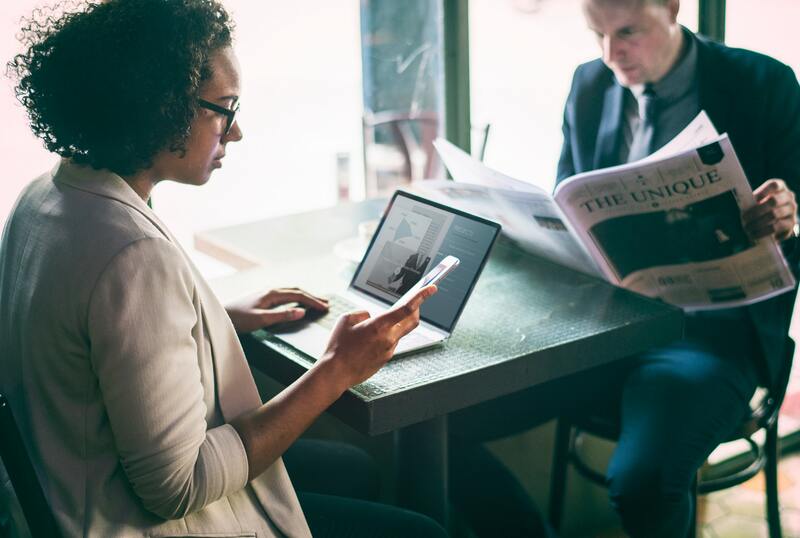 While the internet offers fantastic possibilities for precise demographic and geographic targeting (as well as the opportunity to tell an immersive and visually engaging story), newspapers still reach important audience segments. Newspaper advertising is the 3rd most important source of information for those 65+ with 38.75% of respondents quoting it as source of information, after television (44.80%) and word of mouth (44.1%). “Cultural believers” (those who regularly attend arts and culture activities) of all ages are more likely than average to read print newspapers. They acknowledge and support the importance and relevance of print media, including books, magazines and newspapers. Ethnic newspapers are still thriving. They serve an important function in ethnic communities, connecting community members to each other and to their larger community back home, and providing a voice for the community. Ethnic newspaper advertising is a powerful and efficient method of reaching these communities. With 30 years of delivering marketing strategies & creative solutions for major destination and event brands, Field Day can help you to drive audience growth.